Chusok (Harvest Moon Day), a folklore holiday of Korea, falls on October 4 (lunar August 15th) this year. 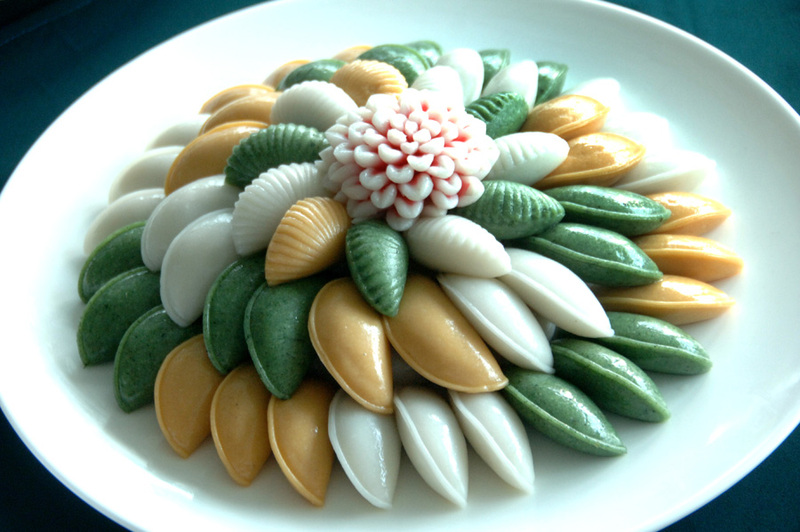 The Korean people would prepare various kinds of special dishes for the day, especially songphyon (half-moon-shaped rice cake stuffed with beans and flavored with pine needles). Localities are somewhat different in the method of cooking the dish and its size. In Kangwon Province, people make it with potato powder and kidney-bean stuffing, while in Hamgyong and Ryanggang provinces, they make it with oat. Songphyon has been considered to be a necessity for the Korean people on the day.